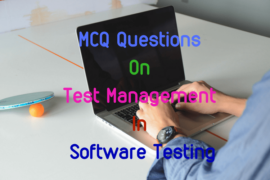 This set of objective questions on Exception Handling in Java includes MCQ questions on compile time and run-time errors occurred in java programming. 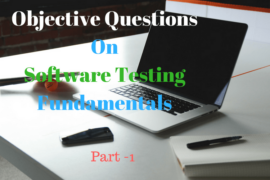 It includes the collections of objective questions from definition of exception, exception classes, common java exceptions, different exception handling keywords such as try, catch and finally. 1. Which of the following are the most common run-time errors in Java programming. 2. Which of the following are the most common compile time errors in Java programming. 5. ………………… exception is thrown when an exceptional arithmetic condition has occurred. 6. ……………………….. exception is caused when an applet tries to perform an action not allowed by the browser’s security setting. 7. …………………….. exception is thrown when an attempt is made to access an array element beyond the index of the array. 8. You can implement exception-handling in your program by using which of the following keywords. 9. When a ……………………. block is defined, this is guaranteed to execute, regardless of whether or not in exception is thrown. 10. The ……………………. statement is passed a single parameter, which is reference to the exception object thrown. 11. Every try statement should be followed by at least one catch statement; otherwise …………………. will occur. 12. If an exception occurs within the …………………….. block, the appropriate exception-handler that is associated with the try block handles the exception. 13) Exception classes are available in the ……………………package. 14. …………………….. is caused by general I/O failures, such as inability to read from file. 17. State whether the following statements are True or False. i) A catch can have comma-separated multiple arguments. ii) Throwing an Exception always causes program termination. 18. Java uses a keyword ………………… to preface a block of code that is likely to cause an error condition and ‘throw’ an exception. 19. When an exception in a try block is generated, the Java treats the multiple ………………. statements like cases in switch statement. 20. The …………………. statement can be used to handle an exception that is not caught by any of the previous catch statement.